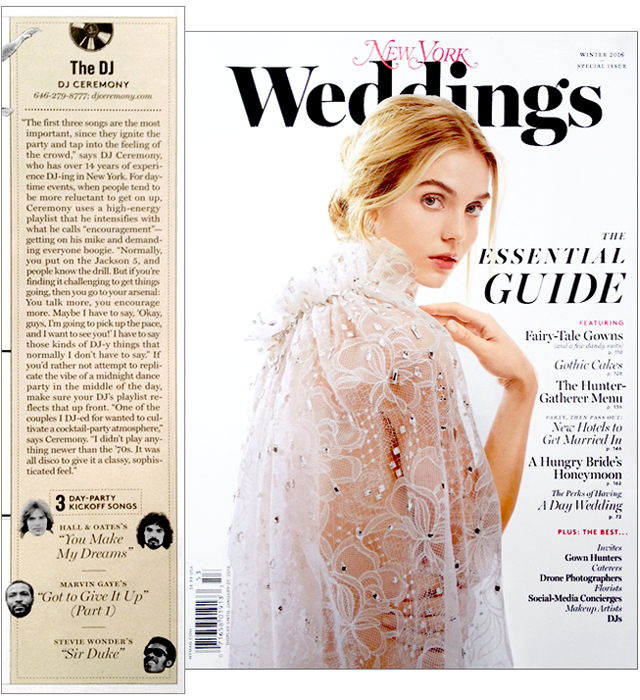 Check out my feature in the new Winter 2016 issue of New York Weddings Magazine! I was one of five wedding experts interviewed by Sharon Steele to give perspective and experience on the planning of daytime weddings. Special props to the Design dept. that included the rad pics of Daryl, John, Marvin, & Stevie!